My very first concert ever, and one I will never ever forget. The Roger Dean staging, the light show, and the distinctive sound of my favorite band. The song, "Close To The Edge" done to perfection even without Wakeman. Still the best live version I have ever heard. This show started my rock concert experiences, and it will always have a special place in my heart. 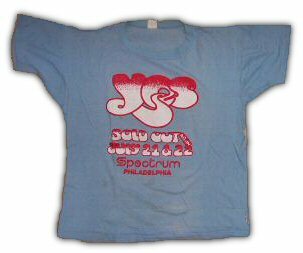 I saw Yes for the first time in 1975. I don't remember the date, but it was in Philadelphia, so it was either 7/21 or 7/22. This was also my first concert. I was excited, because my birthday is 7/23. 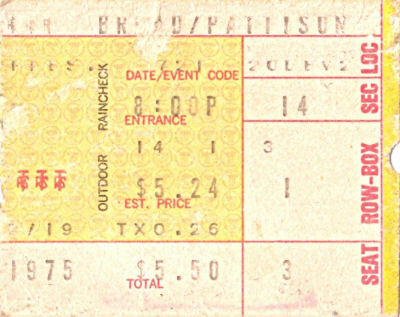 I went to Sears on the Roosevelt Blvd., because they had a Ticketron machine. I bought six tickets (6.50 ea, I seem to remember) and they were in the tenth row on the floor. What a great show ! Long Distance Runaround was played as an acoustic piece with jon steve and chris with acoustic guitars. I remember enjoying this version of the song. Patrick moraz also played happy birthday this night. 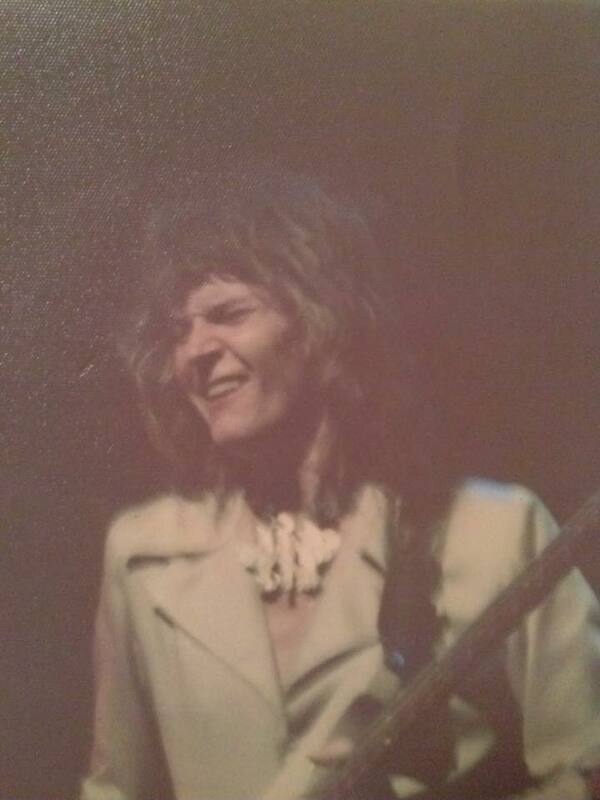 Also in regards to the Philadelphia show in July 1975. I was at the first night show. What I seem to remember is that they played a medley in the middle of "Sweet Dreams" mixing in Moraz's "To Be Over" solo and Steve Howe's middle solo from "America". 'High Vibration' was an early version of 'Awaken.' It's just the 'High Vibration' opening part in a different key while the other band members sorta doodle a bit. No real significant development with the song. Thank you very much. It's nice to be back with you in the city. We'd like to play for you a song called 'And You And I'. Here's a song called 'Gates Of Delirium'. I'd like you all very much for coming along this evening. We like to sing [???]. Here's a song from 'Topographic Oceans' called 'Ritual'. Thank you very much. Thank you so much. Thank you.